Cigarette detection systems can be used in public buildings where smoking on site is forbidden. Cigarette flame detectors will catch offenders in the process of lighting up and alert staff to the scene. Flame detectors are more suitable than smoke detectors for open areas and building entrances where high winds and intermittent vapours might affect the detection of smoke. 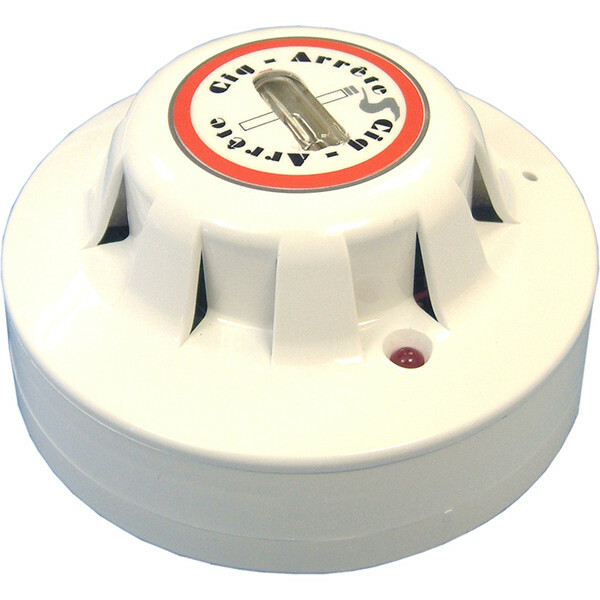 The Cig-Arrête Slave Flame Detector is designed for use in conjunction with devices like the Cig-Arrête Master Flame Detectors to create a complete flame and smoke detection system covering a large area. 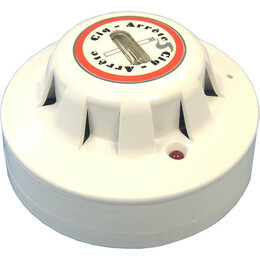 This flame detector is capable of detecting a 25mm flame within 6m in just 1 second and will constantly monitor the environment for flames from matches and lighters. Whenever the device is triggered the system will sound an alarm. Flame detection is perfect for use in areas including building entrances and exits, open areas and rooms with very high ceilings (between 3m-6m). The sensitivity of this detector is factory-set to medium/high but can be adjusted with DIL switches to tailor the flame detector to your environment. It's best to avoid installing this device close to kitchens or gas appliances which could cause false activations.